Have you ever had a bikini wax? What about waxed your upper lip, brows, or arm pits? It’s not a pleasant feeling one bit. 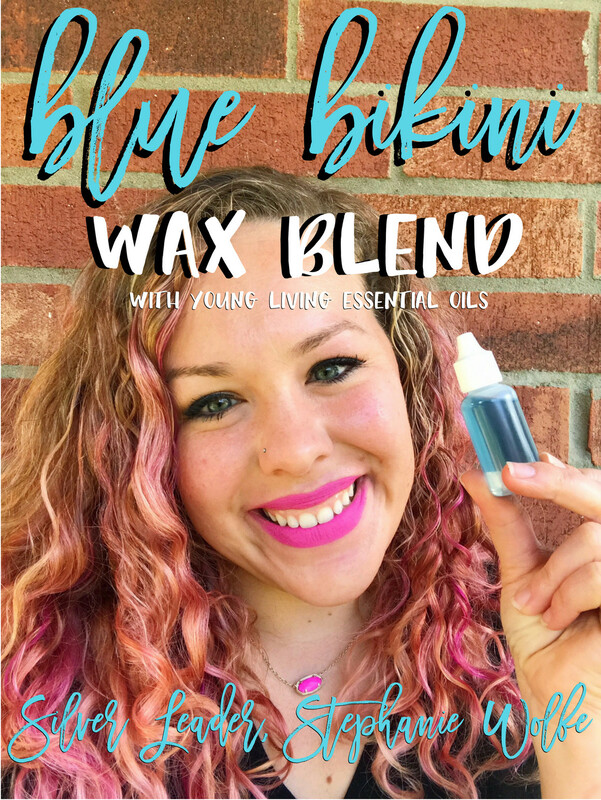 I don’t know about you, but my body is super sensitive to any kind of hair removal process, and I found my saving grace- the Blue Bikini Wax Blend using Young Living Essential Oils from Lucy Libido (author of “Lucy Libido Says…There’s an Oil For That!“) and I couldn’t help but share it with my Young Living team members and all of you! It helped my face feel soft, soothed, and took the redness away, and now I’ll never be without it. The Blue Bikini Wax Blend is definitely something you’ll want to have on hand at a waxing or after a good threading! Make it ahead of time so you can put it on immediately and not be embarrassed with redness or bumps! Valor Essential Oil Young Living is such an integral part of our lives and it would bring me such joy to have you as a member on our team. I would love to chat one on one with you about your health goals so we can get you started with Young Living as well. Just leave a comment and I’ll email you back and we can schedule some time to talk and answer any questions you may have. 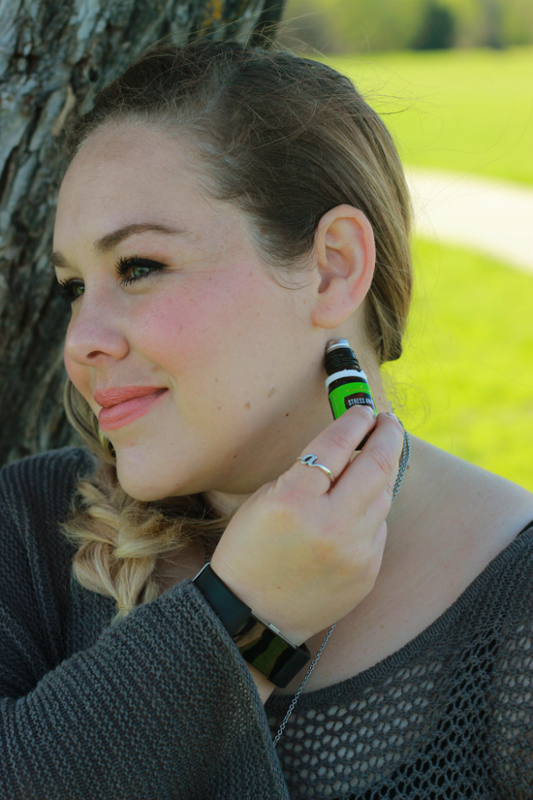 Want a good starting place to learn more about essential oils? Check out the Young Living tab at the top of my blog to get a glimpse into the amazing benefits of Young Living. You’ll find more on why I began using Young Living, info on Seed to Seal, how to join my team, and more great ways to use Young Living essential oils! 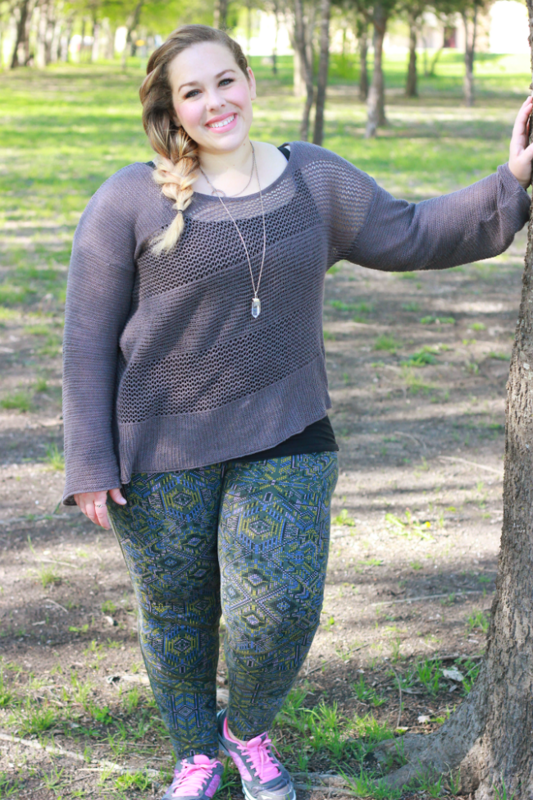 This post on How Not To Lose Yourself as a Stay-At-Home Mom was sponsored on behalf of prAna. All opinions stated are my own. It can be really easy to lose yourself as a stay-at-home mom if you’re not careful. It can creep in really slowly and then all of a sudden, you look in the mirror and find that you hardly recognize yourself. You know how I know? Because it has happened to me. Staying in pajamas all day was a “thing” and I barely made it to the vanity to brush my hair in the mornings. By the end of the day, I just would feel terrible about myself because I was still in pajamas from the night before! 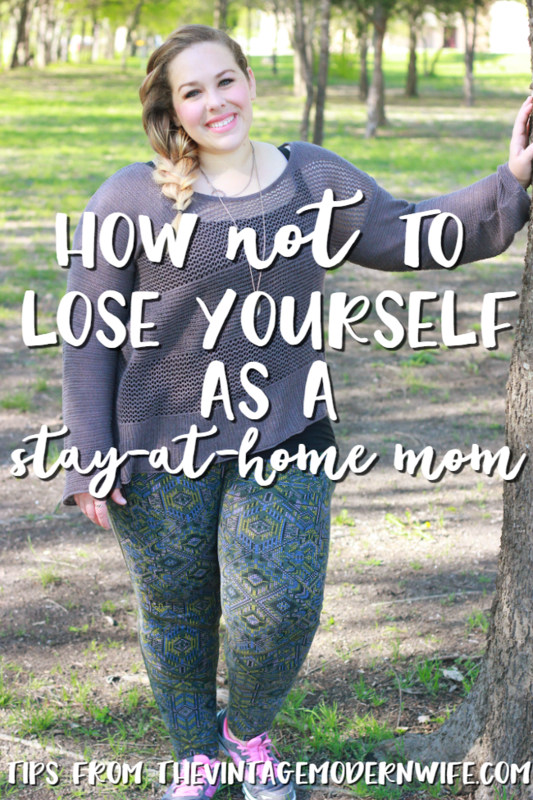 It doesn’t have to happen to you though, and I’m going to share just a few tips on how NOT to lose yourself as a stay-at-home mom. Set your schedule. One of the biggest things you can do for yourself is get a planner (I have this one) and get a schedule set up. For me, this is what keeps me sane. 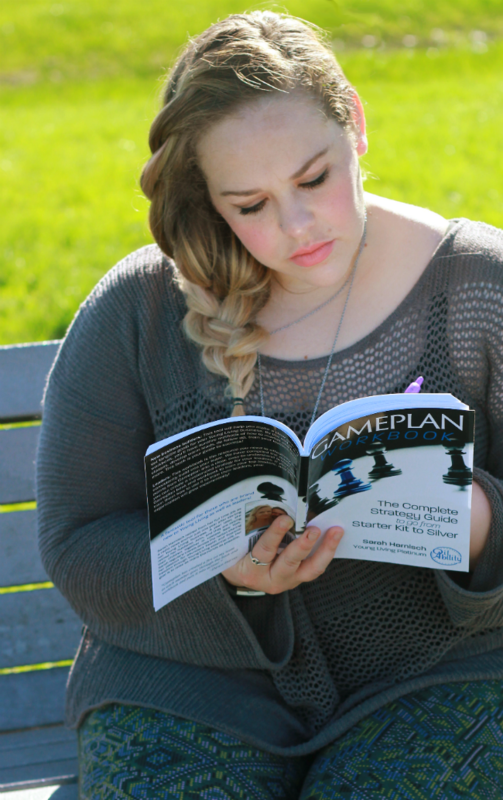 Don’t just shove that planner in a drawer, actually use it and refer to it daily. When you can set a schedule for yourself you’ll be able to make time for all the things you need to get done. I work from home (and am LOVING this book from Sarah Harnisch right now), so I plan time to do business when Addie naps or once Mathew is off work. We also schedule time for her different therapies, doctor appointments, and whatever else we need for the week. Take some time for fitness. I’ve said this before, and I’ll say it again- fitness is important. 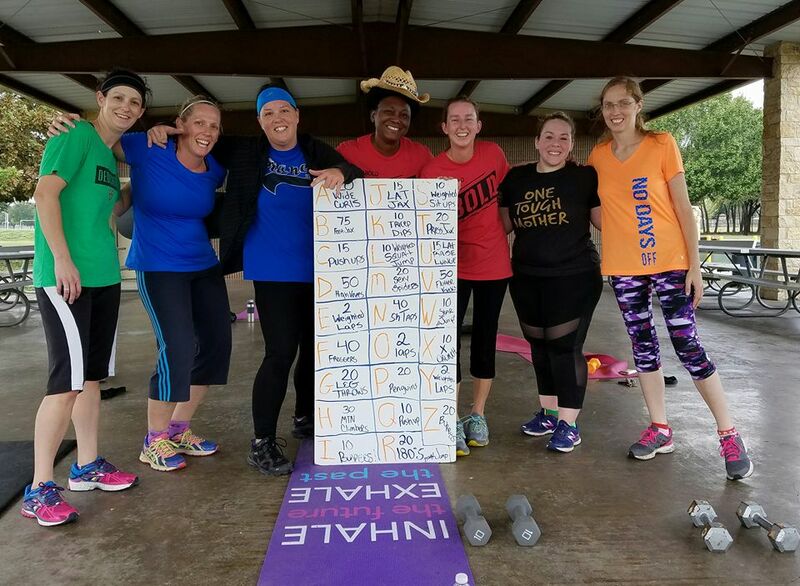 I made sure to schedule working out 3 times a week with Camp Gladiator, and sometimes I even have the time to go 4 times a week. Scheduling time to workout isn’t easy. You have to want to do it, and you have to force it into your schedule, especially if you’re busy. Many workout facilities have childcare options so you can bring the kids along, and 1 hour of your day is going to get you in the mood for focusing on your tasks for the day. Try finding a local workout program or gym near you, or even YouTube some fitness vloggers like Blogilates or Kayla Itsines. I’m all about wearing workout clothes that can double as athleisure because I’m usually running errands after working out (groceries anyone?) I’m a huge fan of prAna because they’re comfortable for working out, their clothes are sustainable, and I can just throw the sweater on top of my workout tank and do what I need to do for the morning. Everything is made from organic cotton or hemp, so they are amazing for moisture wicking. You guys know I’ve been on a journey the past 2 years in making our home greener, and I love that the clothes from prAna are mindfully made in order to support fair trade and sustainable practices. We are the gatekeepers to our homes, and we can make an impact on our world if we try. One way to do that is to make sure that the things you buy have a positive impact on our planet and will make a positive impact in your home. prAna gave me a discount code just for YOU to use now through April 14, 2017. Just enter code “PMOMVMW” during checkout for 15% off your purchase. Enjoy! Take a moment if you need. The struggle is real when it comes to being a stay-at-home mom. Between kids having their needs, your spouse having his needs, and you having your own needs- more often than not, everyone else’s needs usually get met before your own. It can be completely overwhelming to never get to leave your “job” at the end of the day. When I get overwhelmed, I love to get my Young Living essential oils out and do an “oil intervention” to just clear my head. Check out the video below to learn how to do it yourself! I love oil interventions because it only takes 1-2 minutes to do, and I am back to being the level-headed person I need to be for my family, for my business, and just for my day in general! Make time for friends. I don’t know about you, but one thing that always brings me back to my “old” self is hanging around with friends. It is so important to keep up with your friendships during this stage of life so you don’t lose yourself! I love grabbing coffee with friends, inviting them over for some monthly essential oil DIY projects (where we all bring snacks, we chat for hours, and we play hilarious games), or getting dinner! Friends are such a key part of life and really can keep you grounded when you’re not feeling yourself. When Addie was in the hospital for 10 months, I was the world’s worst friend. Of course, I had a good excuse, but now that she’s been home almost 2 years, I am redeeming myself by seeing my friends as much as I can! These are just some of the tools I use to stay true to myself while I’m a stay-at-home mom. How long have you been a stay-at-home mom? What are some things that make you feel better about yourself and about your day? This post on 5 Winter Wellness Tips for Families was sponsored on behalf of RAYCOP. All opinions stated are my own. I never fussed too much about being healthy until Addie was born. The term “wellness” wasn’t something that I’d ever really used, and I didn’t think much about taking care of myself until I became pregnant. Now that I’m a mom, and one to a medically fragile toddler, my eyes have been opened up to an entire new world. During the wintertime, all I see on Facebook are people talking about how sick they are or how entire families have been inundated with illness. My Facebook memories pop up each morning when I log on, and even I am reminded how frequently I was sick during this time of the year! 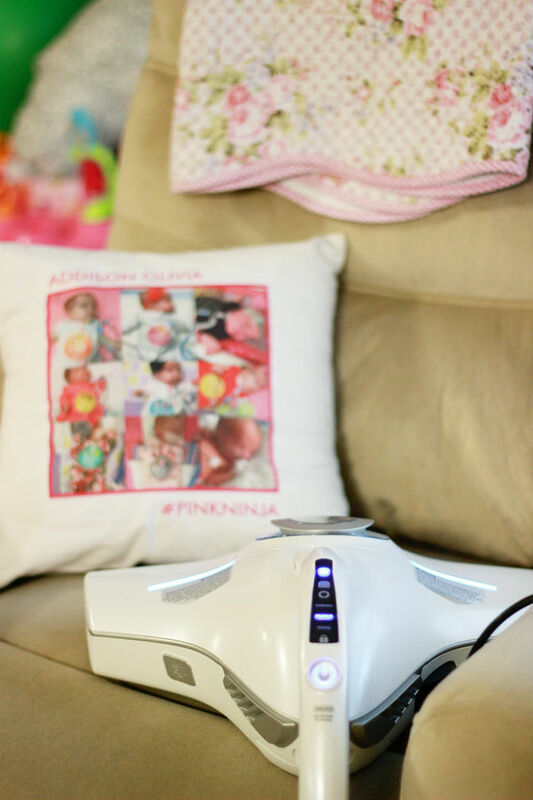 Ever since Addie was in the NICU, I’ve learned some amazing winter wellness tips and I wanted to share them with families that are sick and tired of being, well, sick and tired! Winter Wellness Tip #1: Wash your hands. It sounds simple enough, right? Yet, more germs are passed around because we simply don’t wash our hands enough or wash them as long as we should. Here’s a tip for you, when washing your hands, sing Twinkle Twinkle Little Star twice in your head. It may seem a long time, but it’s just the perfect amount of time to help you wash any little germy friends on your skin. Winter Wellness Tip #2: Drink Kombucha. I’m a HUGE fan of drinking Kombucha because of all the amazing health and wellness benefits it provides. Kombucha is a fermented tea that has live bacterial cultures in it, like a probiotic does. You can make your own, or you can purchase some at your local grocery store (usually in the healthy living aisle). 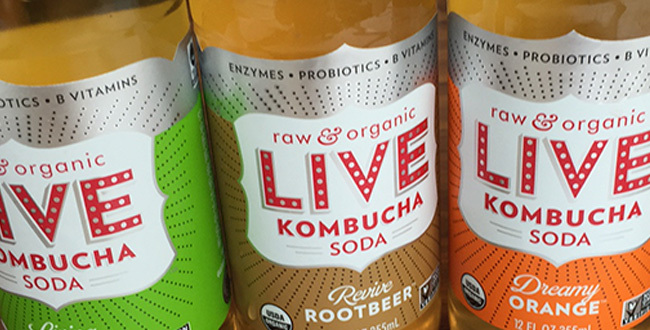 Drinking Kombucha every day will help protect your body naturally by supporting your gut. In fact, 70% of your immunity is in your gut. Your health starts in your gut, so you need to support it year-round, but especially in the winter. Not comfortable with the thought of Kombucha? Grab yourself a probiotic. We’re huge fans of Young Living Life 9. Winter Wellness Tip #3: Sanitize your home. Here’s the thing- we have a TON of people in and out of our home because Addie requires nursing, therapies, and medical supplies. To say our door is revolving would be an understatement. Now that the holidays are here, we’re having more friends over for different events like Friendsgiving and our upcoming Sole Hope Shoe Cutting Christmas Party! 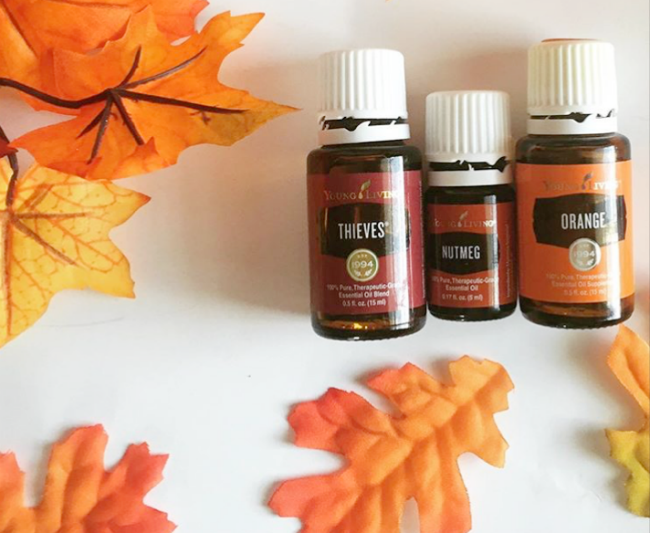 Of course, we love diffusing Thieves to purify the air in our home after we have guests, but have you ever thought about the germs on your couches? What about your bed after you’ve been around a lot of people? It’s something many people don’t even think about, but it’s one that’s on my radar often. We just recently got a RAYCOP RS2 and it is AMAZING for sanitizing any fabric surface in your home. After TWO seconds, it is able to extract 99.99% of bacteria, 99.8% of pollen after 1 minute, and can extract 90% of household dust in just 3 minutes. Insane right?! After my recent Friendsgiving party I decided to give my RAYCOP RS2 a whirl. I can’t chance having any of our family members or nurses sick, especially because of Addie’s respiratory needs. 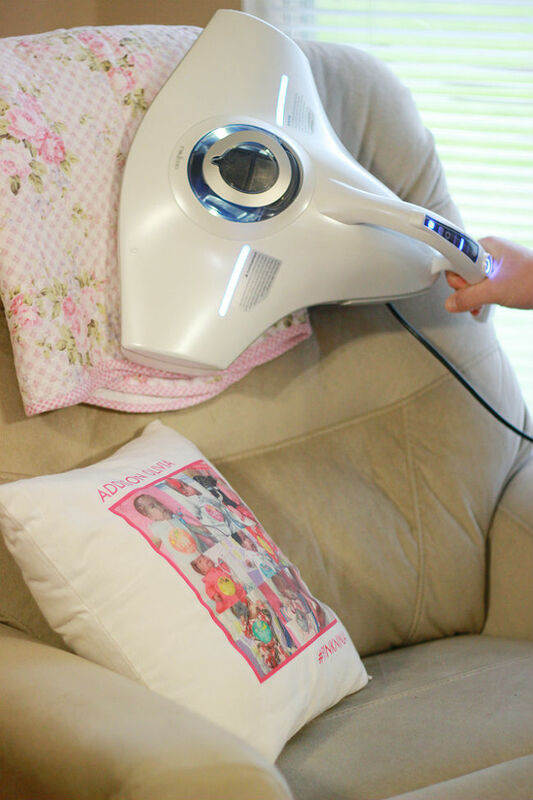 Every RAYCOP purifier uses patented RayClean Technology® to efficiently sanitize fabric surfaces. Unlike a regular vacuum, RAYCOP purifiers have a dual filtration system incorporating a high efficiency particulate air (HEPA) filter which is proven to capture 99.9% of common allergens like dust, pollen and mold, and UV light technology that deactivates the DNA in dust mites, bacteria, pollen, mold and mildew. Of course, don’t take my word for it- they have tons of research and development to back up their claims. I’m all about research (hello, oily mom here!) so it made me happy to see that on their website. I love love love the RAYCOP RS2 for my couches, Pearl’s dog bed (because let’s face it, pets bring in lots of stuff from the outdoors), pillows, beds, and even blankets. I am also planning to use it on my curtains that have been hung in our dining room for 2.5 years and need a good cleaning. It’s a great way to save water by not having to physically wash them! I never even knew a product like this existed until recently, and I’m so thankful for it. 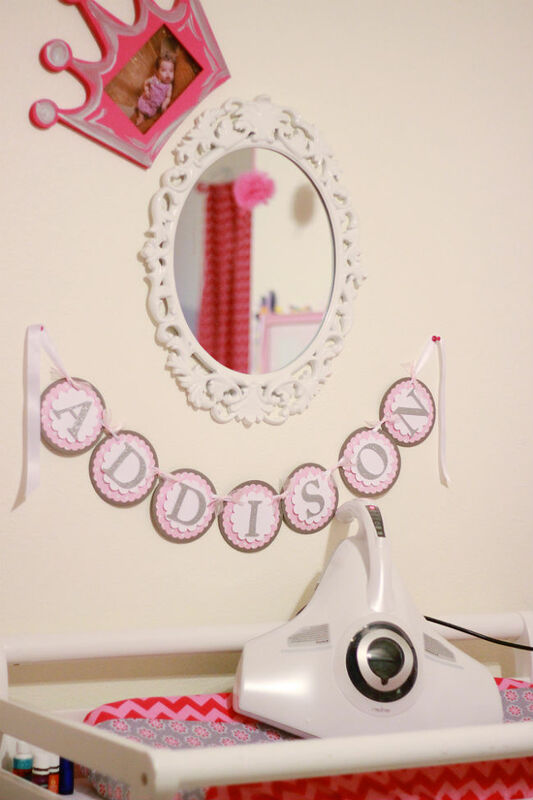 I’m always looking for natural yet effective ways to clean our home and this is just an amazing product that is going to make such a difference for our family- especially Addie. If you want to snag a RAYCOP RS2 purifier, grab it today at raycop.com/shop. Winter Wellness Tip #4: Keep exercising. When I started Camp Gladiator a little over a month ago, everyone kept asking me why I chose this time of year to start working out. The more I thought about it, the more I realized, “Why not? !” This is the time of year when indulgences are high for many, weather is chilly (because, you know it doesn’t truly get cold here in Texas! ), and it gets darker faster. You have every single excuse to not work out, but this is the best time to push those excuses away. Working out is what is going to keep your body in tip top shape. Not into working out outside like me? Try a workout DVD, head to your local gym, do laps in a heated pool, or find a partner that will bundle up with you and will go for a walk! Winter Wellness Tip #5: Add spice. When I think about the holidays, I always think about the different spices of the season: cinnamon, nutmeg, clove, ginger, orange. Did you know that all of these spices are eaten this time of year for a reason? Each spice has its own health benefits that are crucial to keeping you and your family healthy during the winter season. We love using Young Living Vitality Essential Oils in vegetable capsules, but adding spices to your foods will naturally aid your body in wellness. How cool is that?! 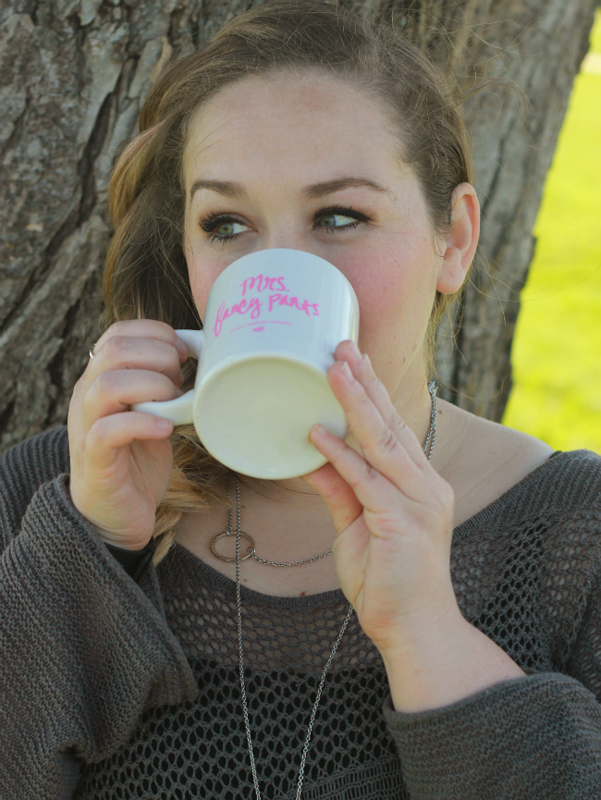 Using these winter wellness tips you’ll be set to fight off all the stuff that winter brings! Check out the giveaway from RAYCOP below for your chance to enter their lightest and most portable purifier, the RAYCOP Lite! It is a must-have for every home. I’m so thankful for it!